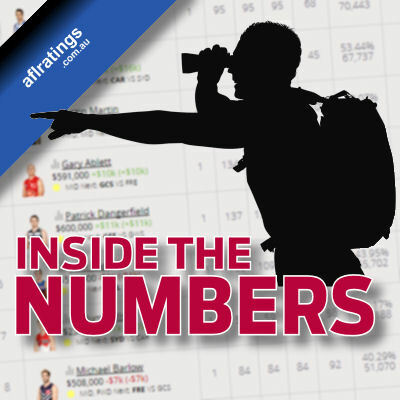 Pete goes inside the fantasy numbers in a jam packed edition full of significant stats. 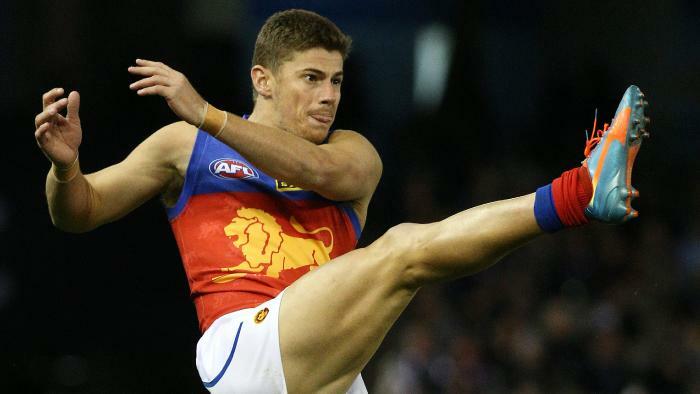 With 3 weeks remaining in the AFL Fantasy season finding the right avenue to success can be quite tricky, with a solid 20 rounds of data to review and analyse can we trust what we already know? For teams that are going to miss the AFL Finals this year there could be some fluctuating scores along with player role changes that could heavily impact Fantasy scores, avoiding such teams could protect many coaches from making catastrophic moves in the next couple of weeks but adapting to the ever changing late season landscape can also be beneficial in delivering premiership glory. 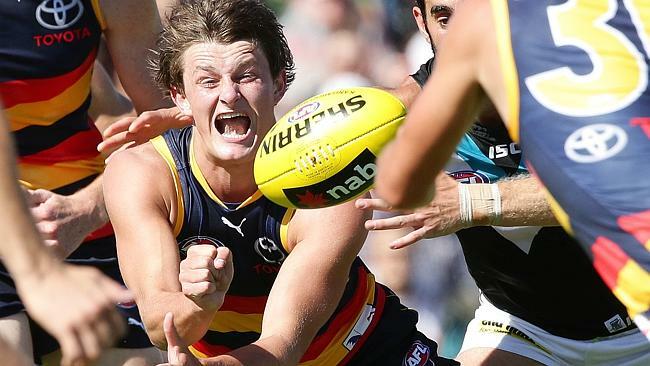 Adelaide: The Crows have been solid for most of the year and are finishing strong, after averaging 1598.6pts from their opening 7 games they have averaged 1748.2pts from their last 12 games including 1909.5pts against the Bombers & Lions in Rounds 19 & 20 respectively. 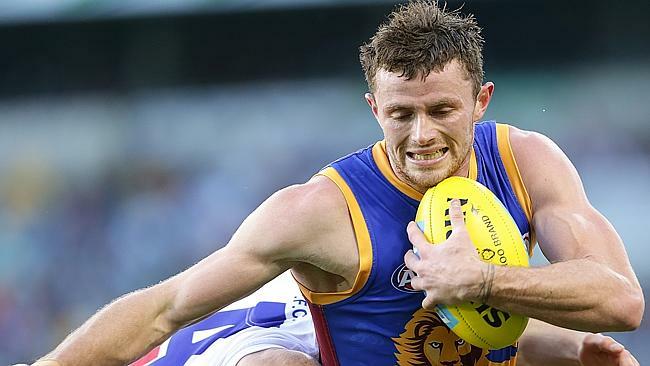 Brisbane: The Lions have hit the wall averaging just 1196.0pts from their last 2 games, they have exceeded 1500pts in only 1 of their last 6 games which is impacting players such as Dayne Zorko. Carlton: After 3 solid performances without victory between Rounds 17-19 the Blues were non-competitive against the Saints in Round 20, with virtually no forward scoring Carlton are under pressure to defend and as a result the numbers for Simpson, Docherty and even Tuohy are increasing. Collingwood: The Magpies are one of the teams that are fluctuating in form and scoring, 2 sub 1500 scores along with 3 games exceeding 1700pts from their last 5 could hurt at some stage. The top end talent at Collingwood have continued their quality scoring despite the fluctuating team scores. Essendon: The Bombers have scored fewer than 1500pts in only 1 game this year which is remarkable considering what they were facing, on the other side of the field they have conceded 400 Disposals in 7 of their last 10 games. 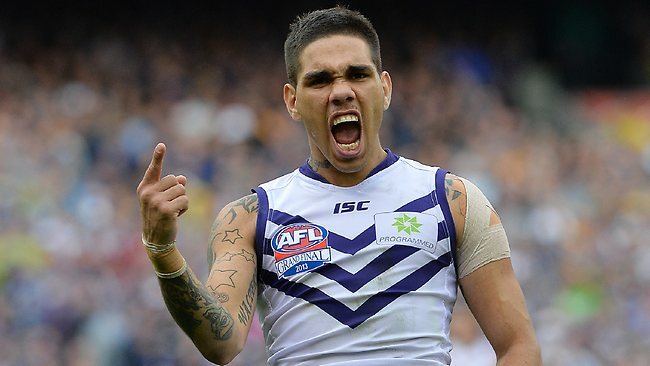 Fremantle: If you have owned a Docker this year you have likely been Ross’d, whilst the Freo scoring in the last 3 weeks has stabilised what they are conceding has not having given up an average of 1813.8pts from their last 6 games. Geelong: The Cats have been solid all year including their last 4 games scoring an average of 1699.5pts, beware the Round 23 clash as the Demons have been outstanding in recent weeks not giving up 1500 team points in 4 of their last 5 games. Gold Coast: The Suns scoring has fluctuated wildly and quite rightly so without a starting midfield, 3 favourable games to finish the year may provide fantasy coaches with a few solid POD’s. GWS Giants: The Points are still flowing late in the season for the Giants, they have finally matured as a team in to a genuine premiership contender along with serval fantasy options to choose from. 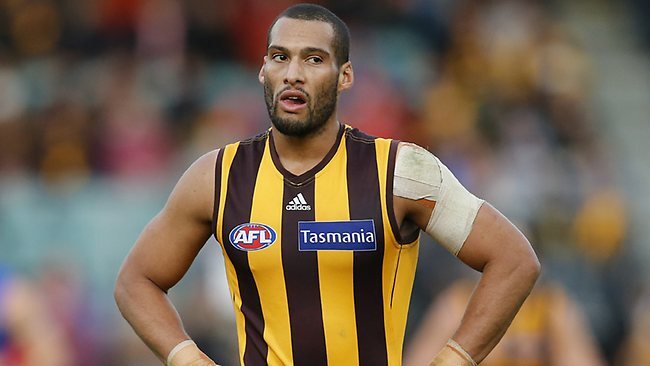 Hawthorn: The Hawks have averaged just 1443.0pts in their last 2 games which has impacted several key fantasy options including Luke Hodge, games against Nth Melbourne & West Coast away in the next 2 weeks will not likely ease concerns. 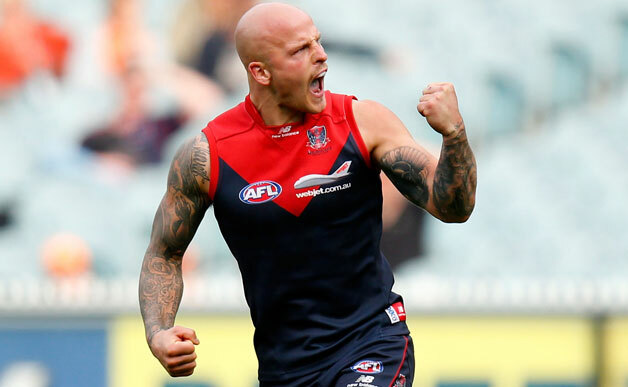 Melbourne: The Demons have emerged as a fantasy force in 2016, they are getting it done on both sides scoring 1716.2pts from their last 6 games whilst conceding just 1447.0pts from their last 5 games. Melbourne is denying the opposition the ball giving up just 315.3 average disposals in their last 3 games, which is frightening! Nth Melbourne: Little to report on for the Kangaroos scoring although they have been solid in the last 3 games scoring an average of 1634.0pts, what needs to be acknowledged is that they conceded just 1384.3pts in their last 3 games. Take note the opponents in the final 3 games: Hawthorn, Sydney & GWS Giants. Port Adelaide: The Power are struggling to rack up the points as their season comes to a close missing finals yet again, they have averaged just 1506.6pts in their last 5 games. Port Adelaide conceded 1846pts to the Swans in Round 20, an opportunity could be available for some high scoring opponents in Melbourne, Adelaide & Gold Coast to finish up the year. Richmond: After scoring 1332pts in Round 18 the Tigers exploded for 1822pts against the Magpies in Round 20, defensively they are also quite volatile and careful consideration should be acknowledged prior to entertaining any players from Richmond to complete the season. St Kilda: The Saints present a similar story in fluctuating scores with a 537pt increase in Round 20 compared to Round 19, the Round 23 game against Brisbane should be a targeted match-up for many coaches that make a Grand Final. Sydney: After back to back fill-ups in which the Swans averaged 1859.5pts against Fremantle & Port Adelaide the final couple of weeks could be tricky, the Swans face Nth Melbourne (BA) & Richmond (SCG) to finish the H&A Season. It would be a brave coach to trade out any of the big 4 at Sydney in the most important games of the year for any coach, but the match-ups are not favourable at this stage. 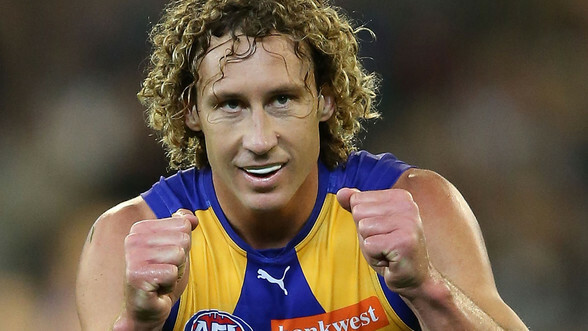 West Coast: After becoming a fantasy wasteland averaging just 1445.7pts between Rounds 17-19 the Eagles managed a solid 1676pts against Fremantle, however that is the least points Freo have conceded in the last 6 games. 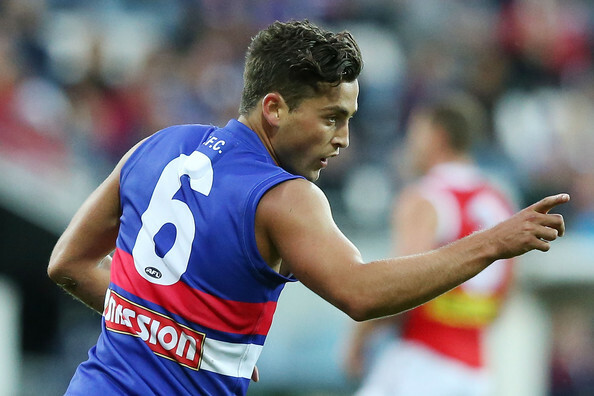 Western Bulldogs: The Points are starting to dry up for the Bulldogs in the last 3 weeks averaging just 1485.3pts, this is a complete turnaround from the 1720.9pts they averaged from their first 16 games. Injuries to Liberatore and Wallis as well as others are starting to impact Disposals FOR and AGA for the Bulldogs. Haha, not complaining but I think 9/10 people would have interpreted that as a club outside of Victoria.